In my recent blogs I’ve given a useful summary of Michael E Gerber’s ‘The E-Myth’, covering different business owner personality types, the three business phases and the franchise prototype. Michael E Gerber’s E-Myth books contain many highly valuable, good, common sense business pointers. Hopefully these blogs will help you apply Gerber’s recommendations to your business for some amazing results. Every business needs good foundations, vision, systems and processes. To help you achieve this, you need to work out the following seven points. In business this means moving beyond your comfort zone, to find your true purpose and stop those limiting beliefs! What kind of life do you want to lead? This isn’t a business plan, but more of a life plan. A statement of what the business has to do for you. What revenues do you want to achieve over the next 10 years? What do you want your gross and net profits to be? How much income do you need from the business? How much do you want to sell your business for, and when? Is your business an opportunity worth pursuing? Can your business fulfil your primary aim – remember this means your true purpose. Can it give you the revenues you need? What sort of experience do you give your customers? How do they feel about doing business with you? Behaviour, emotions and feelings are key to a successful business. And how are you going to deliver your product or service to achieve the revenues you need? What’s your location, what’s your brand, and what’s your image? How robust are your processes and systems? What about staffing? Do you attract and retain quality staff members? Never organise your procedures around personalities! Your staff members have to do things the ‘company’ way to achieve success, otherwise your business is heading for chaos. Each team member must have his or her own responsibilities. All procedures must be documented and followed. Otherwise things will get missed; people won’t accept responsibility and your business with suffer. Create job descriptions and contracts for all roles, and make sure you have an organisational chart. You’ll probably find that your name may take up a few roles to start with for example MD, bookkeeper and marketing director but that’s fine. As you take on more staff, you can update the chart. Next write the procedures, processes and systems for each role, taking into account what you want the customer and staff experience to be. Apprentices often work well as they come with no preconceived ideas and you can shape them in a way that suits your business. The little things count! You must take notice of your customers. What do they need and want? What would help them? Have a system that can capture information about your customers. Remember that the customer is not always right, but you must make them feel like they’re right! Your procedures and systems should have checklists so standards are maintained. These should be signed off by staff members to say they have followed the procedures and have made sure that each check has been completed. If they don’t follow processes, then a disciplinary may be necessary, as they aren’t following your instructions and could jeopardise your business. Create an environment that doing your best and doing things well is the norm. You expect all your staff to work to the best of their ability. If they won’t, or can’t, you must replace them. When hiring new staff, take your time to explain the role in great detail. Inform them of their responsibilities and why the procedures are important and must be followed at all times. Communicate your ideas, your vision, your mission and standards clearly to your staff. We may think that we are making a rational decision, based on detailed information, when we buy. However, in most cases people decide to buy at a subconscious level, and emotions play a key role. We’ll have expectations and if these are met then we will want to buy, even if it’s not rational! Perceived needs are important. What do your customers really think they want, not what they actually need. That’s what you should be selling. If you can deliver a promise to your customers, at a profit, which is better than your competitors, and you can communicate that clearly, you will succeed. Hard systems include offices, white boards, PCs, telephones and mail. Soft systems are living things, for example ideas and people. You should have scripts or benchmarks for your sales people. Sales will depend on what you say, how you say it, how you are, and what you wear. Information systems are cash flow forecasts, accounting and reporting systems. Information is the glue to hold your system strategy together. For example you might measure the number of sales calls, prospects reached, appointments, and the value of each sale. This measures the interaction between soft and hard systems. To approach any part of your business as separate is madness. Every part of your business affects everything else. It’s all interrelated. Learn from Gerber’s ‘The E-Myth’. Put clearly defined systems, processes and procedures in place. If you would like your company to run without you, but the way you want it to be run, let me help you. Many business owners I ‘ve helped have faced overwhelming difficulties. I’ve worked with them to turn their businesses around, and to have the business they’ve dreamt of, allowing them to enjoy their life at work, at home… and on the golf course! Today I’ll be looking at ‘The E-Myth’ and the ‘Franchise Prototype’ as identified by Michael E Gerber. In my other blogs, I’ve covered Gerber’s ‘E-Myth’ and his three personality traits of the business owner and the three phases of businesses. Gerber recommends all business owners to set up their companies, as if they intend to franchise them. This means the business is system dependent. The systems run the business and people run the systems. Your systems integrate all areas of your business to make it work and deliver the same high standards to customers, every single time. The systems must also satisfy all three ‘Personality Traits’, namely the ‘Entrepreneur’, the ‘Manager’ and the ‘Technician’. Good vision to ensure consistent value to all customers. All procedures must be clear and detailed. Everything should be systemised. Ensure that your staff fully understand the procedures and systems, and encourage them to suggest improvements. You can also give key staff delegated authority to make changes. In a world of chaos people crave order. A business that looks orderly tells staff, customers, partners and suppliers that they can trust you. Everything should be documented in an operations manual. It gives you structure. Monitor and measure your activities, against your Key Performance Indicators (KPIs). You and your team can maintain high standard and improve on them. Many successful business owners seek to exceed expectations. Always meet the standards set in your operations manual. Be consistent, uniform and orderly. Do what you do the same way, over and over again so that customers continuously experience good service and feel valued. Be consistent with your brand – this includes use of logo, colours, tone, and the customer service you give. Be prepared to try new ways of doing business. Failure is just part of being a business owner. Learn from failure and it will help you succeed. However, it’s important to measure everything you do, analyse the results and use insight to make improvements. You need to know what’s working and why. In summary, plan your business as if you want to expand it to 500, or even 5,000, outlets. It must be able to work without you. Write down clear systems and processes. Monitor and measure your activities and use this insight to take your business forward. You will have a strong business and great staff, so finding a buyer will be easy. Please get in touch if you’d like our support in developing your business. 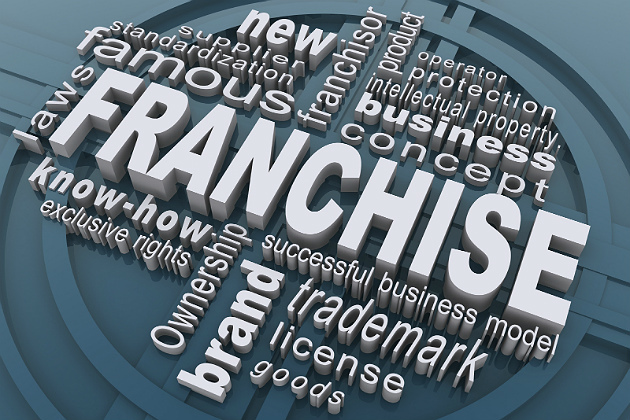 We can help you in setting up robust systems and procedures and help you create a ‘Franchise Prototype’ business. Today I’ll be looking at ‘The E-Myth’, and the three business stages, as identified by Michael E Gerber. According to ‘The E-Myth’ there are three stages that every small business will go through – ‘Infancy’, ‘Adolescence’ and ‘Maturity’. Typically at this ‘infancy’ phase, the business will be run the way the business owner wants. But importantly, it won’t be run the way the business needs to be run. The owner spends many hours working in the business to make sure it grows, but then they have too much work. The business can’t run without the owner and the business owner can’t keep up with demand as well as managing and directing the business. At this phase it’s really just a job. Most small business owners give up. It is vital that to be successful, and happy, business owners spend time and energy on strategy work. If you don’t expand your horizons and employ others, your business won’t grow. This is when you decide you need some help. You employ others to do the tasks that either you’re not good at, or you don’t want to do. But take care. Don’t lose control by keeping yourself out of the picture. If you give control to others without keeping track of what they’re doing, it won’t be done the way you want it. You’ll then decide to take back the task, which brings you right back to the ‘infancy’ phase. If you don’t get the balance right between the technician, manager and entrepreneur, the business might grow very rapidly, in a very chaotic state, and stumble and fail. You must prepare your business and yourself for growth so you survive and thrive. My advice is for you to write down how your business works, how it runs, your plans and define your future. This is a business that can work without you, the business owner. You have your vision, mission and plans in place covering the company now and into the future. The business has standards, rules, principals and form. It has to be seen as a whole product that has competitors. How everything is done is really important and how it serves its customers is paramount. We’ve now looked at the fundamentals of the ‘E-Myth’ – the three different personality types of the business owner and the three business phases. In my next blog I’ll be talking about the ‘Franchise Prototype’. I’m a fan of Gerber’s approach and it’s one I use when supporting business owners. It’s good, common sense, business advice. Please get in touch if you’d like our support in developing your business, and helping it develop from the infancy and adolescence stages to the mature stage, and even to sale of the business. Today I’ll be looking at ‘The E-Myth’, or ‘The Entrepreneurial-Myth’, business owners and their different personality types – as identified by Michael E Gerber. If you’ve read Gerber’s books already, this will act as a useful reminder. If not, this will provide a summary of what is good, common sense, business advice. What does being a technician mean? It means people are brilliant at what they do, whether they’re a builder, lawyer, cleaner, service provider or a chef. They‘ve caught the ‘entrepreneur bug’ and decide to start their own business. They wake up one day and ask themselves “why am I working here?” or “why am I working to make the boss wealthy?”. They think that just because they understand the technical stuff they can run a business successfully. Unfortunately, what can happen in reality is that these ‘technicians’ set up a business, and work hard and long hours. But they’re doing the wrong work. They work hard, but their business doesn’t. They work in rather than on their business. The business that they started, so they could have more freedom, enslaves them. As Gerber puts it “the entrepreneur dream turns into a nightmare”. The technician ends up doing every role within the business from the doer, to the bookkeeper, sales, marketing and operations managers, and the Managing Director. It could be they feel others can’t do the work in the way they want it done, or they simply get trapped like a hamster in a wheel going around and around. Lets look at these traits in greater detail. This is a visionary, and a dreamer, who lives in the future. An innovator, who creates chaos in the now and needs to control people and events in the present. The entrepreneurs can often see people as a problem as they get in the way! This business owner is pragmatic, organised, who lives in the past, and loves systems and craves order. They clean up after the entrepreneur’s mess! This is a doer, with a strong ‘do it yourself’ attitude. They live in the present, are steady, and like to be in control of workflow and love tradition. 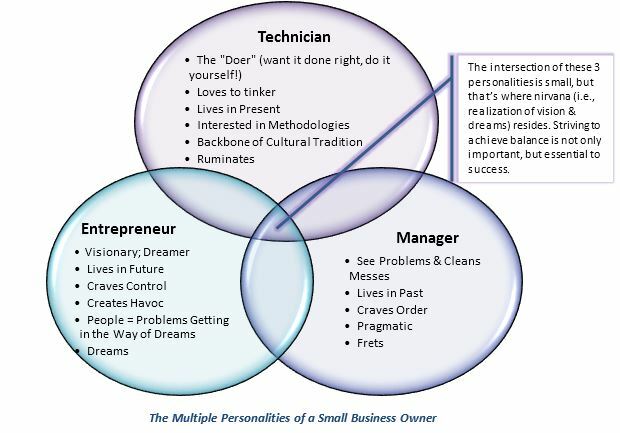 I expect we can all see a bit of ourselves in each of these personalities – entrepreneur, manager and technician. What’s important is to understand ourselves and work out which is our dominant type, and gain the balance required to help our businesses thrive. In my next blogs I’ll be looking at the three stages every business goes through and the ‘Franchise Prototype’. Please get in touch if you’d like to talk to me about supporting your business. Perhaps you need some help in understanding which of these traits you are using well, and which need a little more direction and focus. Michael E Gerber’s E-Myth books contain many highly valuable, good, common sense business pointers. I wanted to try to summarise them for you so you can apply them in your business and see the amazing results. Hopefully you managed to read part 1. If not it’s still on my website. 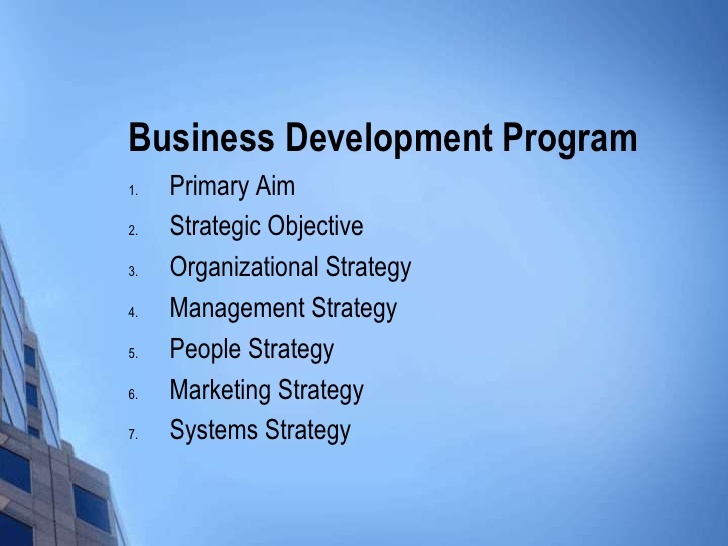 Here’s part 2, The Business Development Process. Your primary aim – in business is to move beyond your comfort zone, find your true purpose and stop those limiting beliefs! What kind of life do you want to lead? 2. Your strategic objective – is not a business plan, but more of a life plan. A statement of what the business has to do for you. Ask yourself these questions: What revenues do you want to achieve over the next 10 years? What do you want your gross profits and net profits to be? How much income do you need from the business? How much do you want to sell your business for and when? Is your business an opportunity worth pursuing? Can your business fulfil your primary aim and give you the revenues you need? Your ‘product’ to your customers is how they feel about the experience of doing business with you. They buy feelings. 3. Your organisational strategy – Never organise your procedures around personalities! Your staff have to do things the ‘Company’ way to achieve success, otherwise you are heading for chaos. They must all have their own responsibilities and all their procedures must be documented on how to do it, when to do it, etc. If not things will get missed and no one will accept responsibility. Create job descriptions and contracts for all roles. Even if you have a small team, make sure you have an organisational chart. You will probably find that your name my take up a few roles to start with. i.e. MD, bookkeeper, etc., but that’s fine. As you take on staff the chart can be updated and your name replaced with the new staff member. Apprentices work well in many companies as they come into your business with no preconceived ideas of how things should be done and you can mould them into what you want them to be. 4. Your management strategy – the little things count! You must take notice of your customers. What do they need and want? What would help them? Remember that the customer IS NOT always right BUT you must make them feel like they are! Your procedures and systems should have check lists so that standards are kept. These should be signed off by staff members to say they have followed the procedures and made sure that each check has been completed. If they do not follow processes and sign off their work, then you should give them a disciplinary, as they are not following your instructions and could jeopardise your business. 5. Your people strategy – Create an environment that doing your best and doing things well is the norm. You expect all your staff to work to the best of their ability and if they can’t then you must replace them. Sloppy, inconsistent people will give out the same in their work. 6. Your marketing strategy – When buying our subconscious mind has already made the decision. We will have expectations and if these are met then we will want to say ‘Yes’, even if its not rational! Perceived needs are important. What do your customers really think they want, not what they actually need. That is what you should be selling. Try to make a promise to customers that no competitor would be willing to make. 7. Your systems strategy – There are 3 kinds of systems – Hard, soft and information. Hard systems could be offices, white boards, PCs, telephones, mail, etc. Soft systems are living things, ideas, people. You should have scripts or benchmarks for your sales people and tell them how they should dress. Sales will depend on what you say, how you say it, what you wear and how you are. To approach any part of your business as a separate from all the rest is madness. Every part of your business affects everything else. Its all integrated. I expect the majority of you have either read Michael E Gerber books “The E-Myth” (first published in 1986) and “The E-Myth Revisited” (published in 1995), or you have heard people talk about E-Myth, but there maybe some of you out there that don’t really know what the fuss is about. In this next series of blogs I want to try to summarise the main teachings or points that E-Myth makes, as it really backs up a lot of what I do, and is just good, common sense business advice and knowledge, that we could all do with. Most small business owners are technicians. They are brilliant at what they do i.e. bookkeeper, builder, lawyer, cleaner, chef, etc. One day they are stricken with ‘entrepreneur seizure’ and ask themselves “why am I working here?” “Why do I work for this idiot?” So they decide to start their own business. They think that just because they understand the technical stuff they can run a business. What happens in reality is that they work hard and long hours, but they are doing the wrong work, so they work hard but their business doesn’t. The business that they started in order to give them more freedom, suddenly enslaves them. As Michael E Gerber puts it “the entrepreneur dream turns into a nightmare”. They end up doing every role within the business – bookkeeper, sales manager, marketing manager, MD, operations manager, etc. They feel they must do everything as no one else will do it the way they want it done. E-Myth talks about there being 3 personalities in every business owner – the entrepreneur (10%), the manager (20%), and the technician (70%). Visionary, dreamer, lives in the future, innovator, creates chaos in the now, needs control of people and events in the present, and they see people as a problem as people get in the way! Pragmatic, organised, lives in the past, loves systems, craves order, they clean up after the entrepreneurs mess! Doer, has a “do it yourself” attitude, lives in the present, steady, likes to be in control of the workflow and loves tradition. I expect we can all see a bit of ourselves in each of these personalities. According to E-Myth there are 3 stages that every small business will go through – Infancy, adolescence and maturity. 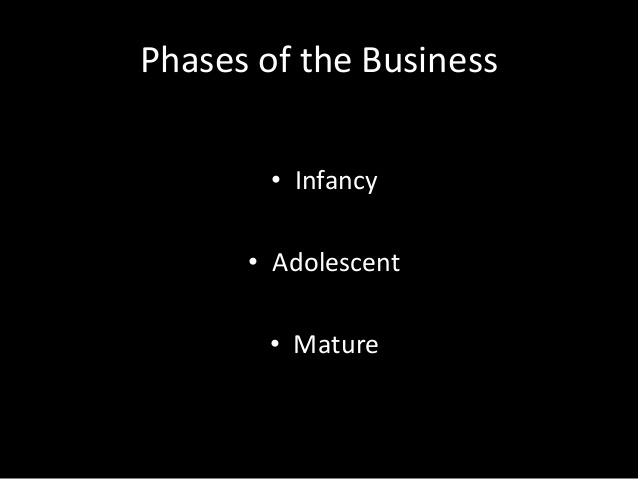 The infancy stage is also called the technician phase. The business will be run the way the business owner wants but not the way the business actually needs to be run. The owner spends many hours working in the business to make sure it grows, but then they have too much work. The business can’t run without them and they can’t keep up with the demand and manage the business. At this stage really all you have is a job, and most small businesses will give up and call it a day. No strategic work happens at all. If you don’t expand your horizons and employ others your business will not grow. The Adolescence stage is when you decide you need some help. You employ others to do the tasks that either you are not good at, or you don’t want to do. But beware here. Don’t lose control by keeping yourself out of the picture. If you give control to others without keeping track of what they are doing, it won’t be done the way you want it and you will then decide to take back the task, taking you right back to the technician or infancy stage. If the technician does not sort out the manager and entrepreneur the business might grow very rapidly, in a very chaotic state, and stumble and fail. You must prepare your business and yourself for growth safely so you can survive and thrive. Write down how your business works, how it runs, your plans and define your future. The Mature Company is a business that can work without you. You have your vision, mission and plans in place of how the company is now and what it will become. The business has standards, rules, principals and form. It has to be seen as a whole product that has competitors. How everything is done is really important and how it serves the business customers is paramount. E-Myth also talks about the ‘Franchise prototype’. All businesses should be set up as if they were going to franchise at some point in the future. They are system dependent. The systems run the business and the people run the systems. The systems integrate all areas of your business to make it work and deliver the same high standards to customers, every single time. The systems must also satisfy all 3 of the personalities of an entrepreneur. There are some rules for the Franchise Prototype. 2) You must assume your employees are not very bright so all procedures must be very clear and detailed, so that everything is systemised. If employees have previous experience then they can make improvements to the systems with your authority. 3) In a world of chaos people crave order. A business that looks orderly tells staff and customers that they can trust you. 4) Everything is documented in an operations manual. “This is how we do it”. It provides structure, it can be measured and your standards are kept. 5) Be consistent. Keep to standards. Must be uniform and orderly. Do what you do the same way, over and over again so that customers get a repeat experience and feel valued. 6) Your business must have an image, colours, shape, brand and you must be consistent. You have to try loads of new things and fail at some, in order to learn and succeed. When trying new things make sure you measure what you are doing before and after and try to quantify everything. You will not know if something has worked if you have nothing to measure its results against. So in summary so far – Plan your business as if you want to expand it to 5000 outlets. It must be able to work without you. Your systems and processes are clearly written down. You have measured and quantified everything. You have great staff, so finding a buyer for your business will be easy. My next blog will carry on the summarisation of E-Myth and its important teachings.